2007-08-15 Application filed by Tomtom International B.V. filed Critical Tomtom International B.V.
An end-user can input a correction to a map error, directly on the device. The device is then able to use the correction without external processing of the correction. Hence, it is no longer necessary for an end-user to simply report errors to the map vendor over a web link, then wait for that map vendor to verify the error, update its maps and finally supply the end-user with updates - a cycle that can take months and sometimes years to complete Instead, the navigation device can use the correction immediately. End-users can also share corrections with other end-users and also with a shared remote server that aggregates, validates and distributes corrections. Despite the huge resources that go into updating and verifying these maps, the data for some geographic areas may be a year or more out of date. In addition to the ongoing improvements descnbed above, end-users can directly report map errors to Tele Atlas using Tele Atlas' web site. Device manufacturers like TomTom also capture and forward map error reports from their users in this way. These error reports are generally just in a free text format, so that considerable effort has to be expended in working out what the error really means and what exact location they relate to. Once verified as a real error, the appropriate correction is validated and then included in a future map release. The correction may eventually find itself in an end-user device a year or more after first being notified or, in some cases, not at all. It is also known to store a 'trace' of a journey planned and completed using a GPS satellite navigation device (see for example the 'GPS track submission' functionality offered by ALK Technologies of Princeton, USA). This trace is a record of the complete route taken by a vehicle, using geo-coded data. The user can then send this trace data back to the device vendor, it is then used to improve the accuracy and completeness of the map database. For example, the precise position of a road or a turning may not be accurately captured on a map used by a device; the aggregated tracks for people taking that road or turning will enable a more accurate position to be determined; future map releases by the device vendor can incorporate the correction. In an implementation, there is a navigation device that allows users to make modifications to the map data stored on their device. The navigation device can be a portable stand-alone GPS navigation device with route guidance capability, such as the GO series device from TomTom International BV, or any other kind of portable information device, such as a mobile telephone or PDA But equally, it could be a device integrated into a vehicle, or a computing device such as a static desktop PC (including a laptop) running navigation software (which term includes mapping software which does not actually deliver dynamic route guidance but instead simply mapping — where the user is. Also, the navigation software could run locally on the client device or run on a server remote from the client device). The PC can then dock with a portable navigation device with a route guidance capability and transfer the corrections to the portable navigation device. • The ability to share map corrections with other users, for example via a content aggregation service. Shared maps are available for use (e.g. by a route planning algorithm or map display engine) as soon as they are downloaded. A second aspect of the invention is an automated map correction suggestion method: in this method, a navigation device collects and analyses statistical data relating to driver behaviour and, typically when certain threshold criteria are met, suggests map corrections to the user. For example, if the user does not turn into a road that the device planned a route down, it may be because the actual road has a 'no entry' sign, but the map stored on the device is not up to date. The device can then automatically display a message such as 'Sorry, was the map incorrect?' with 'yes' and 'no' buttons displayed by the message. If the user presses 'yes', the device might then display the user interface allowing users to create corrections to the map stored on the device. The user can then correct the map by marking the road as a 'no entry' road. That correction is immediately available to the route planning algorithms running on the navigation device. 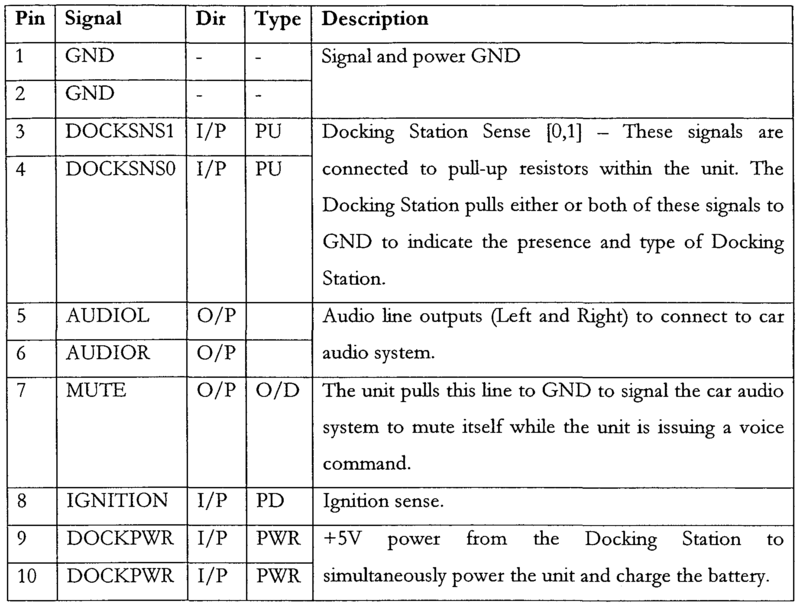 Figure 9 is a diagram of the electrical subassemblies in the Figure 8 navigation device. The present invention will be described with reference to an implementation called Map Share™. Map Share will allow users to fix and also to share and report map errors using GO personal navigation devices from TomTom International B.V. The user enters the correction (or map fix) into the navigation device The map fix is then applied locally in the device to supplement the map data used by the device in routing and displaying roads, POIs etc. The map fix is immediately available. The map fix can be reported to a TomTom server by the device in a number of ways: the device may have an integral communications capability (e.g. wireless cellular system that can send data to the server), may be able to send data over a short range wireless link to a mobile telephone which in turn sends the data to the server, may be able to dock with an internet connected PC that can communicate with the server, or may itself be that internet connected PC. The server can then aggregate all corrections from all users, validate corrections, and distribute the corrections to other users, and share the corrections with one or more map vendors. When fully implemented, this feedback could replace map vendor updates as the primary mechanism for updating map data in TomTom products. • Create map error reports for large errors. In addition to on-device corrections, the same correction features for all the above correction types can be made available using a desktop computer application that is capable of connecting to the device, e g. in order to store corrections. In addition to on-device features, improvements are possible to the existing TomTom map error reporting tool, which is web based. • Users will receive feedback on the map errors that they have reported. • TomTom will be able to pre-pπontise errors before sending them to its map supplier, e.g. TeleAtlas. On a GO navigation device, this can be implemented by the device displaying a menu item 'Make changes to the map', as shown in Figure IA. The consequences of selecting this item are discussed below. There are 2 further menu items that will be described first. First, the menu item 'Exchange Changes' allows the user to initiate an upload of the user's own changes, and download other people's changes to the device. Upload can be via a mobile telephone with a GPRS wireless link that links to the GO device over a Bluetooth network or via an Internet connected PC that the GO device is docked with. Secondly, the menu item 'Preferences About changes' determines which changes to enable Selecting this item can cause the device to display a menu screen, with check boxes for the user to indicate applicable types of changes to enable. Which changes should be enabled. • Block Street, if a user selects this, then the device could, for example, display a list of names of streets currently being displayed by the map (or that would be displayed if the device were in the normal navigation mode); the user could select the street to blocked. • Change traffic direction (not shown): if a user selects this, then the device could, for example, display a list of names of streets currently being displayed by the map (or that would be displayed if the device were in the normal navigation mode) together with the traffic direction; the user could select the street whose traffic direction is to be altered. • Un-block street- if a user selects this, then the device could, for example, display a list of names of blocked streets currendy being displayed by the map (or that would be displayed if the device were in the normal navigation mode); the user could select the street to be unblocked. Re-categoπ2e a POI In each case, the device could, for example, display a list of names of POIs currently being displayed by the map (or that would be displayed if the device were in the normal navigation mode), the user could select the relevant POI and then edit or delete that POI. These POIs are typically those supplied by the map vendor but can include POIs downloaded by the user (e g. speed cameras). A further menu item is to 'Report other error'. This enables complaints, missing roads etc. to be reported. Typical functions will enable the user to pick a location, select from a list of typical issues, allow user to add free text commentary etc. • All map fixes are HIGHLY secure (such that it is not possible to manually reverse engineer the format) to ensure that competitors cannot use fixes made on TomTom devices to correct their own maps. • Map fixes can be automatically removed if the area related to the fix has changed in a new release of the map data (as in this case we assume that the map error has been fixed by the map supplier). • Map fixes do NOT permanently modify the user's map data. "use my changes and those from TomTom" or "use changes in a selected language"). • TomTom maintains map fix databases for each released map version (Note: users with new maps can receive fixes reported on older maps, but users of old maps will NOT be able to receive fixes reported on newer maps). • TomTom creates an aggregation system so that map fixes and reports can be collected and shared with other users. • TomTom creates a "trust" system so that the validity or credibility of map fixes and reports can be assessed. Users who report good errors on a regular basis may become "trusted", and their fixes are offered to all users without the need for validation. These user may also be asked to validate fixes submitted by other users. • TomTom endorses fixes sent by users (once they have been validated). Navigator software, when running on a PDA, results in a navigation device that causes the normal navigation mode screen shown in Figure 3 to be displayed This view provides driving instructions using a combination of text, symbols, voice guidance and a moving map Key user interface elements are the following a 2-D map 1 occupies most of the screen The map shows the user's car and its immediate surroundings, rotated in such a way that the direction in which the car is moving is always "up" Running across the bottom quarter of the screen is the status bar 2 The current location of the device, as the device itself determines using conventional GPS location finding and its orientation (as inferred from its direction of travel) is depicted by an arrow 3 The route calculated by the device (using route calculation algorithms stored in device memory as applied to map data stored in a map database un device memory) is shown as darkened path 4 superimposed with arrows giving the travel direction. On the darkened path 4, all major actions (e.g. turning corners, crossroads, roundabouts etc ) are schematically depicted by arrows 5 overlaying the path 4. The status bar 2 also includes at its left hand side a schematic 6 depicting the next action (here, a right turn). The status bar 2 also shows the distance to the next action (i.e. the right turn - here the distance is 220 meters) as extracted from a database of the entire route calculated by the device (i.e. a list of all roads and related actions defining the route to be taken) Status bar 2 also shows the name of the current road 8, the estimated time before arrival 9 (here 2 minutes and 40 seconds), the actual estimated arrival time 10 (11.36am) and the distance to the destination 11 (1.4Km). The GPS signal strength is shown in a mobile- phone style signal strength indicator 12. A 3-D map view is also possible, as shown in Figure 4. If the user touches the screen 13, then a navigation screen main menu (not shown) is displayed; from this menu, other core navigation functions within the Navigator application can be initiated or controlled Allowing core navigation functions to be selected from a menu screen that is itself very readily called up (e.g. one step away from the map display to the menu screen) greatly simplifies the user interaction and makes it faster and easier. The area of the touch zone which needs to be touched by a user is far larger than in most stylus based touch screen systems. It is designed to be large enough to be reliably selected by a single finger without special accuracy; i.e. to mimic the real-life conditions for a driver when controlling a vehicle; he or she will have little time to look at a highly detailed screen with small control icons, and still less time to accurately press one of those small control icons Hence, using a very large touch screen area associated with a given soft key (or hidden soft key, as in the centre of the screen 13) is a deliberate design feature of this implementation. Unlike other stylus based applications, this design feature is consistently deployed throughout Navigator to select core functions that are likely to be needed by a driver whilst actually driving. Hence, whenever the user is given the choice of selecting onscreen icons (e.g. control icons, or keys of a virtual keyboard to enter a destination address, for example), then the design of those icons/keys is kept simple and the associated touch screen zones is expanded to such a size that each icon/key can unambiguously be finger selected. In practice, the associated touch screen zone will be of the order of at least 0 7 cm2 and will typically be a square zone In normal navigation mode, the device displays a map. Touching the map (i e. the touch sensitive display) once (or twice in a different implementation) near to the screen centre (or any part of the screen in another implementation) will then call up either directly (i e the next level down) or indirectly (i e. two or more levels down) a navigation menu (see Figure 5) with large icons corresponding to various navigation functions, such as the option to calculate an alternative route, and recalculate the route so as to avoid the next section of road (useful when faced with an obstruction or heavy congestion); or recalculate the route so as to avoid specific, listed roads. The actual physical structure of the device is fundamentally different from a conventional embedded device in terms of the memory architecture (see system Architecture section below). At a high level it is similar though: memory stores the route calculation algorithms, map database and user interface software; a microprocessor interprets and processes user input (e g using a device touch screen to input the start and destination addresses and all other control inputs) and deploys the route calculation algorithms to calculate the optimal route Optimal' may refer to criteria such as shortest time or shortest distance, or some other user-related factors. More specifically, the user inputs his start position and required destination in the normal manner into the Navigator software running on the PDA using a virtual keyboard. The user then selects the manner in which a travel route is calculated- various modes are offered, such as a 'fast' mode that calculates the route very rapidly, but the route might not be the shortest; a 'full' mode that looks at all possible routes and locates the shortest, but takes longer to calculate etc. Other options are possible, with a user defining a route that is scenic — e.g. passes the most POI (points of interest) marked as views of outstanding beauty, or passes the most POIs of possible interest to children or uses the fewest junctions etc. Roads themselves are described in the map database that is part of Navigator (or is otherwise accessed by it) running on the PDA as lines — i.e. vectors (e.g. start point, end point, direction for a road, with an entire road being made up of many hundreds of such sections, each uniquely defined by start point/end point direction parameters). A map is then a set of such road vectors, plus points of interest (POIs), plus road names, plus other geographic features like park boundaries, river boundaries etc, all of which are defined in terms of vectors. All map features (e.g. road vectors, POIs etc.) are defined in a co-ordinate system that corresponds or relates to the GPS co-ordinate system, enabling a device's position as determined through a GPS system to be located onto the relevant road shown in a map. 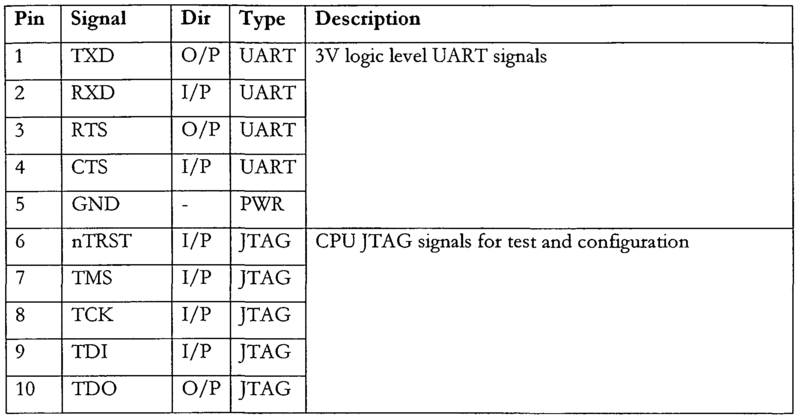 Figures 6A and 6B are perspective views of an actual implementation of a navigation device The navigation device is a unit that includes display, internal GPS receiver, microprocessor, power supply and memory systems. The device sites on an arm, which itself is secured to the car dashboard using a large suction cup. In contrast to conventional embedded devices which execute all the OS and application code in place from a large mask ROM or Flash device, an implementation of the present invention uses a new memory architecture. Figure 7 schematically depicts the device. The device, indicated generally at 51, includes conventional items such as a microprocessor 56, power source 57, display and related rivers 58. In addition, it includes a SD card reader 53; a SD card 52 is shown slotted into position The device 51 has internal DRAM 54 and XIP Flash 55 and. The device hence uses three different forms of memory. 2. The main system RAM (or DRAM) memory 54, this is analogous to the PC's main memory (RAM). This will be where all the main code executes from as well as providing the video RAM and workspace for the OS and applications. Note: No persistent user data will be stored in the main system RAM (like a PC) i e. there will be no "Ram drive". This RAM will be exclusively connected to a 32bit 100MHz synchronous high-speed bus. On boot up the proprietary boot loader 55 will prompt for the user to insert the supplied SD card 52 When this is done, the device will copy a special system file from the SD card 52 into RAM 54. This file will contain the Operating System and navigation application Once this is complete control will be passed to the application The application then starts and access non-volatile data e g. maps from the SD card 52. When the device is subsequently switched off, the RAM 54 contents is preserved so this boot up procedure only occurs the first time the device is used. Introduction GO is a stand-alone fully integrated personal navigation device. It will operate independently from any connection to the vehicle. GO is intended to address the general personal navigation market. In particular it is designed to extend the market for personal navigation beyond the "early adopter" market. As such it is a complete stand-alone solution; it does not require access to a PC, PDA or Internet connection The emphasis will be on completeness and ease of use. 3 Flexibility — All map data and operating programs will be supplied on plug in memory cards The device can easily be extended to cover different locals. 4 Reliability — Although in-car navigation systems are not considered safety critical components users will come to rely on GO. It will be engineered to all relevant automotive environmental standards. In addition it will be tolerant to short GPS coverage outages. There wiH also be a concealed hard reset button. Figure 8 is the GO block diagram. This +5V supply will be generated from the vehicle's main supply rail or from a mains adapter externally. The device will be turned on and off by a single button. When the device is turned off the DRAM contents will be preserved by placing the RAM in self-refresh so that when switched on GO will resume from where it was switched off There will also be a wake-up signal available through he docking connector, this can be used to auto-switch on GO when the vehicle ignition is switched on. There will also be a small hidden reset switch. 4. A small amount of XIP (eXecute In Place) Flash ROM. This is analogous to the PC's BIOS ROM and will only contain a proprietary boot loader, E2 emulation (for UID and manufacturing data) and splash screen bit maps. This is estimated to be 256 KB in size and would be on a slow 8 bit wide SRAM interface. 5. The main system memory, this is analogous to the PC's main memory (RAM). This will be where all the main code executes from as well as providing the video RAM and workspace for the OS and applications. Note: No persistent user data will be stored in the main system RAM (like a PC) i.e. there will be no "Ram drive". This RAM will be exclusively connected to a 32bit 100MHz synchronous high-speed bus. GO will contain two sites for 16 bit wide 256/512Mbit SDRAM's allowing memory configurations of 32MB (16 bit wide) 64MB 32 bit wide and 128 MB (32 bit wide). A 52 mm diameter speaker is housed in GO to give good quality spoken instructions. This will be driven by an internal amplifier and audio codec. Audio line out will also be present on the docking connector. GO will contain one standard SD card socket. These are used to load system software and to access map data. It shall be possible to assemble and test the following variants of GO. The product design should include Bluetooth although it is not populated in the standard variant to minimise BOM cost. The design should ensure that all other functions (including GPS RF performance) operate without degradation when the Bluetooth function is operating. The product design should ensure it is possible to fit 64Mbyte RAM instead of 32Mbyte. The USB connector allows connection to a PC by means of a standard mini USB cable. A hard locking SD card socket suitable for high vibration applications supports SDIO, SD memory and MMC cards. The GPS internal antenna is attached directly to the RF PCB. IGNITION signal may be connected to a 12V or 24V vehicle battery. The state of the Docking Station IGNITION signal is detected and fed to a GPIO pin to allow software to turn off the unit when the ignition signal goes low. The following peripherals will be included as standard with GO. • Simple docking shoe. Mounts GO and allows charging through a DC jack. No other connectivity is included in the simple dock. This document describes high level requirements of the Map Share project. This section describes the user requirements for Map Share. Some map errors can be corrected immediately by the user. This section describes the user requirements relating to map corrections. The user shall be able to make map corrections on their NavCore device. This section describes the user requirements relating to the types of map correction that can be made. The user shall be able to add the locations of safety cameras on the map. Note: it is already possible to report safety cameras in this way, however, the implementation must be adjusted to simplify the process of reporting, make it consistent with other map corrections and allow users to see the safety cameras that they have reported immediately. The user shall be able to block roads on the map. The user shall be able to un-block roads on the map. • Change the direction of a one-way road to the other direction. The user shall be able to add a road (consisting of one or more nodes) on the map. The user shall be able to connect 2 points on the map and define this new link as a new road. The user shall be able to modify the names of roads on the map. The user shall be able to modify the maximum speed of roads on the map. Once map corrections are present on the NavCore device, they must be made available to the user. This section describes the user requirements relating to the availability of on-device corrections. The user shall be able to use private corrections as soon as they are recorded. The user shall be able to use public corrections as soon as they have been downloaded to the device. As some map corrections may have been made by other TomTom owners, the user must be able to select which corrections to use when calculating routes. This section describes the user requirements relating to the use of map corrections on the user's device. The user shall be able to choose whether to receive warnings for private and/or public reported safety cameras. The user shall be able to create map error reports within the Navigator control of the TomTom Home and upload these to the TomTom PLUS server Note, the user should NOT have to register as a TomTom customer in order to create a map error report. The user shall be able to import map error reports captured on their device to the TomTom Home application. The user shall be able to edit these reports and then upload them to the TomTom PLUS server. The user shall be given feedback regarding their map error reports. In some circumstances it is possible for the TomTom device to suggest corrections to the user, based on their use of the product. This section describes the user requirements relating to automatic identification of map errors. The user shall be prompted to add a road on the map if they drive through a map area that is not marked as a road on multiple occasions. The user shall be prompted to add a name to unnamed roads on the map if they plan routes to such a road on multiple occasions. The user shall be informed if they attempt to report a map correction that has been corrected in a newer version of the map data that they are using. The user shall also be informed how they can purchase the updated map. In order to use public map corrections the user must retrieve them from the TomTom PLUS server. This section describes the user requirements relating to map correction retrieval. The user shall be able to download public map corrections from the TomTom PLUS server to their device, and to the TomTom Home application. The user shall be able to download public map corrections from one or more community categories. Note: Public correction community categories are defined in section 2.1.7.3. The user shall be able to download public map corrections from one or more community source categories. Note: Public correction source categories are defined in section 2.2.1.5. The user shall be able to download public map corrections from one or more map supplier source categories. A supplier category shall be provided for each TomTom map supplier. The user shall be able to download public map corrections from one or more location categories. Some features within Map Share must be implemented in a specific way in order to address the user's requirements and protect TomTom's interests. This section describes all known technical constraints placed upon the Vl scope of Map Share. In order to allow users to make informed decisions relating to public map corrections, Map Share must manage these corrections. This section describes the constraints relating to map correction categorisation. TomTom shall aggregate all public map corrections sent to the TomTom PLUS server. Public map corrections shall be analysed in order to assess their source, and their validity such as applicability and trustworthiness. TomTom shall distribute all public map corrections to Map Share users upon request. TomTom shall assess the applicability of each map correction with respect to each map supplied to users. If a map correction is found not to be applicable for a given map then it shall be removed from the aggregated map corrections and NOT distributed to users of this map. TomTom shall be able to endorse specific map corrections and these shall be represented to the user in a specific category. Map corrections that have been reported by a single user shall be represented to other users in a specific category. Map corrections that have been reported by trusted users shall be represented to other users in a specific category. Map Share users shall be able to endorse map corrections made by other TomTom owners and evidence of these endorsements shall be represented to the user. In order to gain (and maintain) a competitive advantage from Map Share, it is imperative that map correction data is held in a structured, re-usable and secure way. This section describes the constraints relating to security. Each map correction captured on the device shall be time stamped with the time at which it was input and/ or reported. Each map correction shall be stored in a form that allows it to be applied to the map independently of all other map corrections (i.e. NavCore shall be able to decide on a per- correction basis whether the correction should be applied to the map and represented to the user). Map corrections shall NOT make a permanent modification to the user's map data. Map corrections shall be highly compressible to allow fast and cheap distribution over wireless networks. Map corrections shall be highly encrypted such that it is not possible for the data format to be reverse engineered. Map corrections shall be stored in such a way that they are retained though a map upgrade process. Map corrections shall be compatible with future map versions, such that corrections made on older versions of a map can be applied to the latest version. In order to ensure that map corrections are correctly handled on the user's device, certain rules must be applied. This section describes the constraints relating to on-device map correction handling. Map corrections created on previous map versions shall be checked to see if they are applicable to the currently loaded map on the user's device. Map corrections that are not applicable shall NOT be used within route calculations. In order to manage map error reports in a more effective manner, TomTom must implement method for aggregating and prioritising error reports. This section describes the constraints relating to map error report management. TomTom shall assess all map error reports and assign priorities to these, such that the most serious errors are clearly highlighted. These priorities shall be communicated to TomTom map suppliers when submitting error reports to them. This section describes the high level requirements that have been omitted from the Vl scope of Map Share. This section describes the omitted user requirements for Map Share. This section describes the map correction types that have been omitted from the Vl scope of Map Share. The user shall be able to modify the names of cities (and other places) on the map. The user shall be able to block access to a road for one or more transportation types. Specifically the user shall be able to block access for the following transportation types. The user shall be able to modify the "class" of roads on the map. Note: road classes are used to define the properties of roads and are used within route calculation. The user shall be able to add turn restrictions to roads on the map. The user shall be able to remove turn restrictions applied to roads on the map. The user shall be able to add house numbers (either a single number or a range) to roads on the map. The user shall be able to modify the location of house numbers (either a single number or a range) applied to roads on the map. The user shall be able to modify the average speed of roads on the map. The user shall be able to remove the presence of a toll from roads on the map. The user shall be able to add signpost information to roads on the map. The user shall be able to modify the properties of signpost information associated with roads on the map. The user shall be able to remove signpost information associated with roads on the map. The user shall be able to modify the location of POI on the map. The user shall be able to modify the names of POI on the map. The user shall be able to modify the category of POI on the map. The user shall be able to remove POI from the map. The user shall be able to modify the exit numbers of motorways on the map. The user shall be able to modify the post code associated with a road on the map. Some map errors are too complicated or large in scale to make corrections on the device itself. These errors need to be reported to TomTom, so that we (or our map suppliers) can take corrective action. This section describes the user requirements relating to map error reporting. The user shall be able to create map error reports within TomTom Support Website and upload these to the TomTom PLUS server. Some features within Map Share must be implemented in a specific "way in order to address the user's requirements and protect TomTom's interests. This section describes all known technical constraints that have been omitted from the Vl scope of Map Share. TomTom shall implement the Tele Atlas map error reporting API and use this as the reporting mechanism for all reports to Tele Atlas. 1. A method of altering map data, comprising the steps of: storing at least one map alteration in a memory; combining said at least one map alteration with a first map to create a second map; loading said second map on a navigation device. 2. The method according to claim 1, further comprising the steps of: planning a route with the navigation device; and determining if said at least one map alteration is along said route. 3. The method according to claim 2, wherein if said at least one map alteration is along said route, storing said route on said navigation device. 5. The method according to claim 1, further comprising the steps of manually limiting said number of map alterations. 6. The method according to claim 5, wherein said map alterations comprise community categories. 7. The method according to claim 5, wherein said map alterations comprise source categories. 8. The method according to claim 5, wherein said map alterations comprise location categories. 9. The method according to claim 5, wherein said map alterations comprise validity categories. 10. The method according to claim 5, wherein said map alterations comprise importance categories. 11. The method according to claim 5, wherein said map alterations comprise POI category categories. 12. The method according to claim 5, wherein said map alterations comprise language categories. 13. The method according to claim 5, wherein said map alterations comprise map supplier categories. 14. The method according to claim 1, wherein said step of operating further comprises the steps of effecting route planning via said first map. 15. The method according to claim 14, further comprising the step of generating an indication that said route comprises at least one alteration. 16. The method according to claim 15, wherein said indication comprises at least one of an oral, visual and tactile indicia. 17. The method according to claim 1, wherein said step of operating further comprises the steps of calculating a route to a destination. 18. The method according to claim 1 , wherein said step of operating further comprises the step of rendering said first map. 19. The method according to claim 14, wherein said step of operating further comprises generating route based voice directions. 20. The method according to claim 1, further comprising the step of marking said first map with text. 21. The method according to claim 20, further comprising the step of visually indicating said text. 22. The method according to claim 20, further comprising the step of audibly indicating said text. 23. The method according to claim 1, further comprising the step of transmitting said map alterations to a remote device. 24. The method according to claim 1, further comprising the step of editing said map alterations. 25. The method according to claim 1, further comprising the step of deleting said map alterations.